Consultant gynaecologist and obstetrician Specialised in gynaecological endocrinology and reproductive medicine She was born 1982 in Leinefelde and raised near Dresden, Germany. From 2001-2007, she studied medicine in Dresden and Mannheim. During her studies, she developed an interest in endocrinology and decided to specialise in gynaecology and obstetrics. 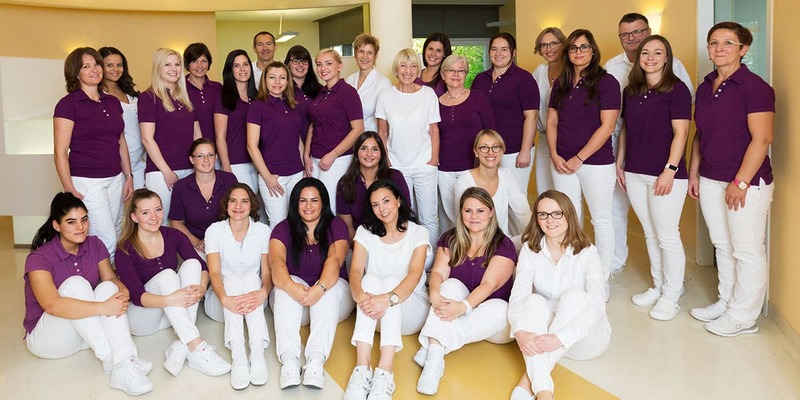 From 2008 to May 2013, she trained in this specialty at the City Hospital of Karlsruhe. After completing her training, she spent another year as a consultant at the hospital's mammography clinic as well as in the surgical diagnosis of infertile women. Since July 2014, she has had the chance to pursue her great passion and dedicate herself fully to the care of infertile patients. She lives in Wiesloch with her husband and two tomcats. In her free time, she likes running and dancing, pursueing an interest in figurative arts and visiting her enlarged family all around Germany.